Steven Kasher Gallery is honored to present Daido Moriyama’s first exhibition of vintage prints in New York and his first New York exhibition since 2002. We will present over 80 vintage black and white prints surveying Moriyama’s photography from the 1980s, as well as a selection of over 30 of his books. The exhibition will be accompanied by an 80 page catalog edited and designed by Johan Kugelberg. Daido Moriyama is one of the most revered living Japanese photographers. Our show coincides with Heavy Light: Recent Photography and Video from Japan opening at ICP on May 16, which examines a generation of artists whose work has been greatly influenced by Moriyama. We are also celebrating the biggest Moriyama exhibition to date, the Tokyo Metropolitan Museum of Photography’s two-part exhibition Retrospective 1965- 2005 and Hawaii, running from May 13 to June 29. Moriyama’s work immerses us in the melancholic beauty of life at its most ordinary. His insatiable eye slows down the pace of our gaze. His photographs epitomize wabi-sabi, the Japanese aesthetic of finding beauty in imperfection. The traces we leave behind, the echoes of our living infuse meaning into the discarded, the marginal, and the lost. An abandoned factory, a mangled rubber glove, the laughter of someone who is dead. The 1980s finds Moriyama at his most lyrical. With the extreme provocations of his 60s and 70s work behind him, he turns to a plainer, more centered investigation of everyday life. His camera and his printing (he makes all his prints himself) are voracious, hungry all the time. He seems to be intent on finding beauty and meaning in every scrap and horizon that the sun reveals to his eye. The vintage prints in this show have an immediacy and rawness not found in the modern prints that are usually on the market. Moriyama’s output since 1968 is legendary. He has produced over 70 books of his photographs. 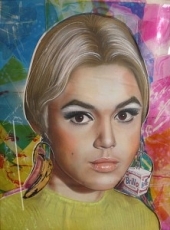 He has had over 80 solo exhibitions. 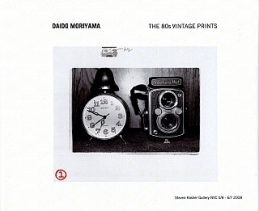 In the U.S., he was a central figure in MoMA’s groundbreaking 1974 New Japanese Photography, and in 1999 SFMoMA organized and exhibited the retrospective Daido Moriyama: Stray Dog, which was also shown at the Metropolitan Museum of Art and Japan Society in New York (jointly). 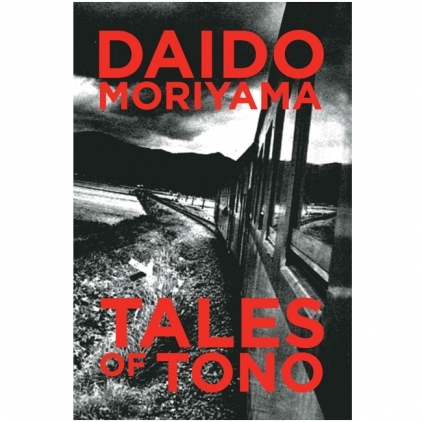 His four- volume Daido Moriyama: the Complete Works (Taka Ishii, 2004) reproduces over 5000 photographs. Daido Moriyama was born in 1938 along with a twin brother, who died when Daido was two. His childhood was spent in the town of Urawa, outside Tokyo. Moriyama mentions the chocolate and chewing gum thrown to the children by GI’s in passing. In his mid-twenties, working as a photography assistant, Moriyama encountered Kerouac’s On the Road. Moriyama cites Atget and Weegee as primary influences, as well as William Klein and Warhol. He compares the taking of photographs to a Spitfire firing its machine guns. Moriyama fires off his camera in rapid bursts of instinctive shooting, almost always without using his viewfinder. Moriyama is as artistically potent now at the age of 70 as he was when his work began to make waves in late 60s Japan. Moriyama’s best known image is of a stray dog glancing at the camera -- with the look of Satan who has just blown his nose in the wall-to-wall carpeting. As humans, some days our howl is that life is wretched, some days we howl that life is wonderful. In the memories of a dog, life is always both beautiful and wretched.